Have you ever walked passed, or, indeed, purchased from a speciality cake shop, and wondered “how do they do that”? Peggy Porschen’s lastest book, “Boutique Baking – Delectable Cakes, Cupcakes and Teatime Treats” shows you how you can achieve similar results at home. Peggy moved to London from her native Germany in 1998 and studied at Le Cordon Bleu Cookery School. She founded Peggy Porschen Cakes in 2003, and her creations have been part of many A-list events, such a Elton John’s White Tie & Tiara Ball, Stella McCartney’s wedding, and Damien Hirst’s Auction at Sothebys, along with parties for Sting & Trudie Styer, and Gwyneth Paltrow. She is also the exclusive wedding cake partner to Fortnum & Mason. Peggy Porschen Parlour in Belgravia opened in Autumn 2010, and her Cake Academy, London’s first cookery school entirely dedicated to baking, cake decorating and sugar craft, opened in January 2011. 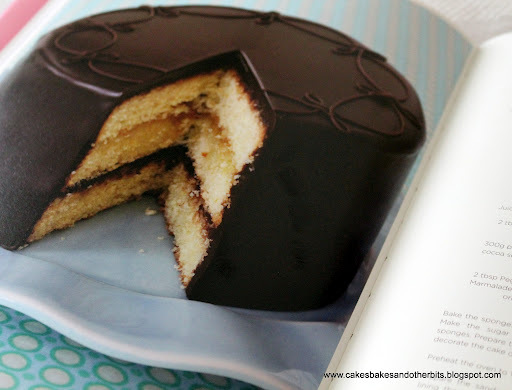 At first, I thought that the recipes and methods were a bit complicated for the home-baker, but as Ms. Porschen says in her introduction, she has taken care to ensure each recipe is suitable for bakers of all experience levels. She has, however, added more complicated recipes and creations for those who have a little more experience. 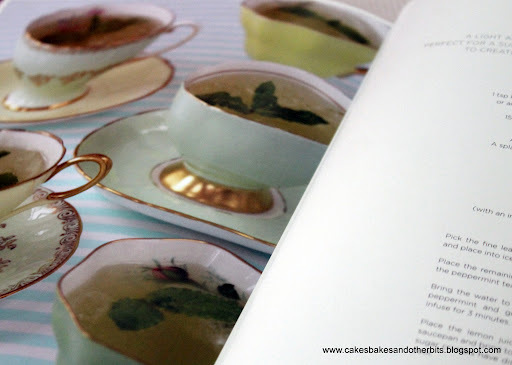 The seven recipe chapters are beautifully photographed and styled. The recipes themselves are set out in such a way as to take the “fear” out of trying your hand at one of these beautiful cakes. You are given the list of ingredients for each stage of the recipes, equipment needed, and full instructions on how to complete each stage. She even includes a chapter entitled “Delicious Drinks” which contains such delights as a Minteani, which is a iced mint tea cocktail, a Hot White Chocolate with Vanilla, and lots more special treats besides. The photographs of the cakes themselves, taken by Georgina Glynn Smith for Boutique Baking, are so detailed and luscious, well, how could you resist not trying one! 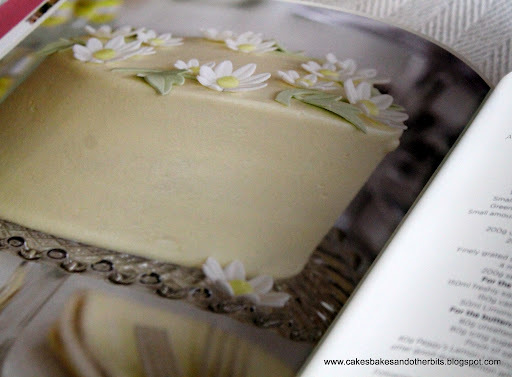 The book also includes a very aptly-named chapter “The Icing on the Cake”, which contains step-by-step guides to the techniques used in decorating the cakes featured. A complete guide to the sugar-craft dressings used in each recipe is also given. (My photographs of pages from the book used here, are with kind permission from Quadrille Publishing). I have already tried one of the recipes and will posting it shortly. Having said that, I will be doing lots more from this beautiful book, as there are so many from which to choose. 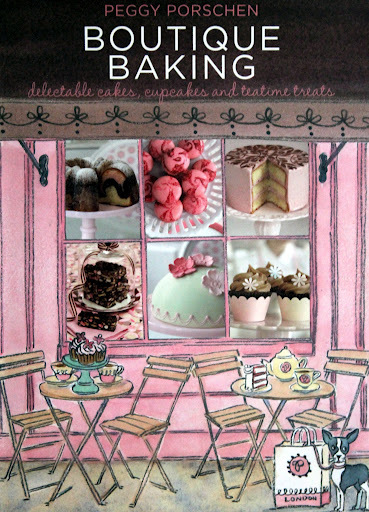 “Peggy Porschen – Boutique Baking – Delectable Cakes, Cupcakes, and Teatime Treats” is available from Amazon, and all good bookshops, and is published by Quadrille. All original photography for the book is by Georgina Glynn Smith and Adam Ellis. Text, Recipes and Design are by Peggy Porschen. Artwork, Design and layout by Quadrille Publishing Ltd. I was sent a copy of the book by Quadrille Publishing Ltd., for review purposes. I used to work near Peggy Porschen's shop/cafe and I can't believe I never went in – though I did look in the window sometimes! Her cakes look like miniature works of art. How easy did you find the recipe to recreate it at home? I'd be so happy if you could post her sticky toffee cupcake recipe!